Is It Dangerous to Quit Steroids Cold Turkey? Steroid abuse is a potentially serious condition that may involve other psychological disorders, including depression and body dysmorphic disorder. Treatment can include inpatient or outpatient addiction recovery programs or counseling, as well as tapering off the drugs to avoid severe withdrawal symptoms. Several options exist for treatment of steroid abuse. The option you choose will depend on your needs and other factors, such as affordability. Inpatient or residential drug rehab allows you toremain in the treatment center while completing a structured program of recovery. For those requiring a formal detoxification process, these types of recovery settings frequently offer medically supervised detox programs at the beginning of treatment. Additionally, inpatient/residential programs can be useful if you are struggling with relatively severe substance abuse issues or need to separate yourself from a situation that affects your ability to engage in recovery. Outpatient drug rehab options allow you to attend the treatment center only for scheduled treatment sessions and remain active in your work, home and family. Group counseling brings together people with the same or similar disorders. You meet together under the direction of a therapist or counselor and discuss issues of recovery. This bonding develops a strong system of social support, fosters learning, reassures you that you are not alone and helps you to apply newly learned relapse prevention techniques and other sources of recovery insight. Individual therapy consists of one-on-one treatment between you and a counselor or therapist.You can focus specifically on your issues, develop plans for recovery and implement them in your daily life. Twelve-step programs are support groups that consist of people who have similar substance abuse issues.These groups include Alcoholics Anonymous (AA) and Narcotics Anonymous (NA). While there is no national group dedicated to steroid abuse, these 12-step programs offer the appropriate help and support. These programs are free to attend and are open to anyone who is struggling with drug abuse or a related issue. Dual diagnosis treatments are specific treatments that address co-occurring disorders in individuals, such as steroid abuse and depression. Specialists at treatment centers treat the entire person and not just the symptoms. Treatment centers are focused on delivering an entire package of services that includes education, psychotherapy, medical treatments and social support – services that a physician cannot provide or can only partially provide. Treatment centers can recognize other potential co-occurring issues and treat them in conjunction with the substance abuse issue. Treatment does not end with participation in an inpatient or outpatient drug recovery program. There is a strong potential for relapse after you leave treatment, which is why it’s important to continue to participate in some form of support or long-term aftercare treatment program. Sober living or halfway houses. Active participation with various aftercare programs is often necessary to maintain accountability and vigilance in detecting signs that you may be returning to your old ways. 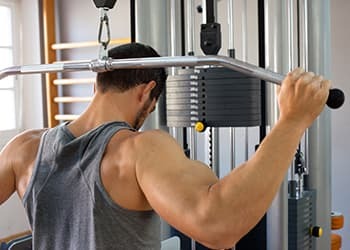 According to the National Institute for Drug Abuse, people who abuse steroids may experience withdrawal symptoms when they stop using the drug. Feelings of depression and suicidal thoughts. Side effects from steroid abuse differ for men and women.3 Some of these changes can be reversed once the person stops using steroids, while others may be permanent. Infertility or reduced sperm count. Coarsened facial features, thickening of facial skin, acne. The development of facial hair (androgenic hirsutism). Issues with, or a halting of, menstruation. For adolescents there is also an increased risk of growth problems, including a potential premature closure of epiphyseal growth plates, with resultant stunted growth. Some instances of steroid abuse may be compounded by the presence of a psychological disorder known as body dysmorphic disorder.2 This disorder involves a compulsive preoccupation with 1 or more perceived (or imagined) flaws in a person’s physical appearance that usually do not appear to be flaws to other people. People with this disorder have repetitive behaviors such as mirror checking, excessive grooming and mentally comparing themselves to certain idealized standards. These behaviors generally lead to significant issues with their ability to function. Some individuals who abuse steroids may also display these compulsive behaviors to the extent that they are life-threatening. Many people who abuse drugs have a psychological condition that requires treatment. A licensed mental health clinician can diagnose a clinical condition such as body dysmorphic disorder. Not all individuals who abuse steroids as a result of an interest in bodybuilding will meet the diagnostic criteria for body dysmorphic disorder. However, those who do may require more specialized help to address their dual diagnosis (having two psychological disorders that occur together). This possibility is one of the reasons that it is important to get professional help if you are abusing any type of drug or substance. Many individuals who abuse drugs may also have another co-occurring psychological disorder that would necessitate treatment. Treating only one disorder in the presence of potential multiple psychological disorders may be a less effective approach to recovery. It is not recommended that you stop using steroids “cold turkey” due to the serious potential for harmful side effects and withdrawal. The withdrawal symptoms can lead to severe depression and even suicide. In addition, the National Institute on Drug Abuse acknowledges that some steroid abusers who go through withdrawal begin using even more addicting drugs such as heroin or OxyContin to manage the negative effects of withdrawal from steroids.3 Turning to other drugs results in an increasing cycle of addiction. Approach the person in a calm, controlled and caring manner. Ask questions about their use of steroids. Point out inconsistencies in their beliefs and behavior. Be prepared to be greeted with resistance and anger from the person. Back off if you begin arguing with them. You can always go back and talk again later. Sometimes organizing a professional intervention can help. Suggest the need for professional help. Offer to accompany them to a treatment center for an evaluation. Always remember that you cannot make the person do anything they don’t want to do. Don’t quit on your own. Abruptly stopping carries a significant risk for other psychological complications, including potential depression and suicidal behaviors. If you have been using steroids for a long period of time, you may require inpatient detoxification. Learn why you started using. Successful drug abuse treatment requires you to explore your motivations for using and understand the reasons for the substance abuse – activities that require professional help. Issues such as dissatisfaction with your appearance are deeper problems that can’t be solved with drug use. Weigh the pros and cons of using. Ultimately, you must decide if the risks of substance abuse outweigh the perceived benefits of abusing the drug. Get professional help. Treatment centers are efficient, supportive and have the track record to demonstrate success in the treatment of substance abuse and co-occurring issues such as anxiety, depression and body image problems. Anabolic steroids or anabolic-androgenic steroids are synthetic variants of the hormone testosterone.1 These substances increase muscle mass and can enhance male sexual characteristics, such as facial hair and a deep voice. If you are struggling to quit steroids, know that help is available to you. Call our free helpline at 1-888-319-2606 Who Answers? anytime for assistance finding a steroid treatment center.
. Houglum, J. E., & Harrelson, G. L. (2011). Principles of Pharmacology for Athletic Trainers. Slack Incorporated.